Halloween is a gift that keeps giving. If you like things classic and sweet, there's the evocative nostalgia of the Margaret O'Brien featured part of "Meet Me in St. Louis." If you like things contemporary and dirty, there's the whole world in a naughty and more than likely zombified fill-in-the-blank costume. And if you like to drink, there are not only lots of parties but also lots of special brews. 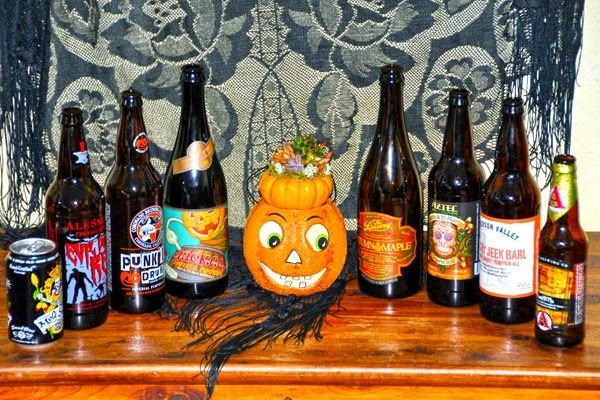 To prepare you for the big weekend (and beyond, as many of these will make fine Thanksgiving pairings, too), here's a look at eight spooky, pumpkiny, and in one case ooky ales, mostly from California. In 1993, Bill Clinton was inaugurated. It's also the year of the founding of Jaffurs Wine Cellars, so that should give you some perspective. Jaffurs also makes their wines in Santa Barbara itself -- close to the now-trendy Funk Zone back when it was just funky -- in the first winery built in town (in 2001). Owner/winemaker Craig Jaffurs and his GM Dave Yates are Rhone lovers who make wines that make others Rhone lovers too. If you're going to decide to throw the only wine festival dedicated solely to sparkling wine in the United States, you might go even further out and have a "real" mermaid there too. That's what's on the bill for Bubblyfest by the Sea, happening October 24-26 in Pismo Beach. There'll be a cocktail event, seminars, and of course tastings -- one of which will feature a tent with a mermaid waiting for you to pose beside, and then if you hashtag your photos (#bubblyfest) you can even get a print for free (social media just keeps moving, doesn't it?). Well, we may run out of water, but we won't run out of wine -- at least not the 2014 vintage. 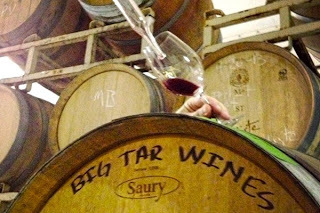 For while the drought ravages California, checking in with several winemakers in Santa Barbara suggests the 2014 vintage will have relatively high yields. 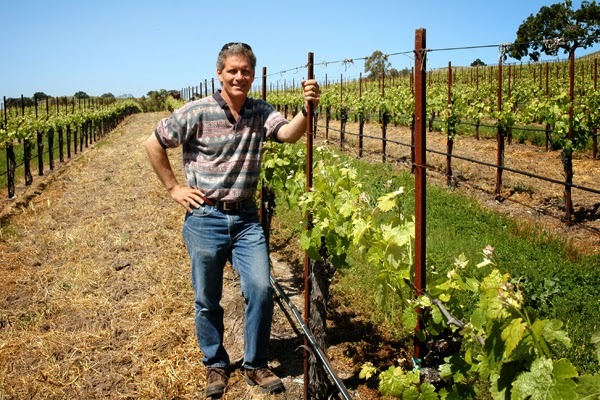 Michael Larner of Larner Vineyard & Winery thinks the yields might be "because grape growers compensated for the lack of rain via irrigation, which may have given the vines more water directly at their disposal, or the warmth of the vintage convinced the vines to be more prolific. Either way, most vineyards are experiencing higher to slightly higher yields, and the grapes themselves seem to be overall a little more juicy than other years."